Whether you’re a buyer looking for the best deal around or a seller looking to boost brand awareness and gain visibility, the Amazon Lightning Deals bring benefits to everyone. Unless you’re an Amazon expert though, scoring a deal as a buyer and joining the deals as a seller could be overwhelming. In this guide, we’ll teach you how to take advantage of the Lightning Deals as a pro shopper and what you should know if you’re a seller. Besides, we’ll also share a lot of tips and insights that you’ll love. Part one: What are Amazon Lightning Deals? Amazon Lightning Deals are time-sensitive promotions that include a limited number of discount offers on selected items. Different from Amazon Subscribe & Save, Lightning Deals rarely last longer than six hours, and they can expire earlier if all discounts are claimed. The deals can be found throughout the entire Amazon.com, including the Gold Box page, and an interested customer can access a certain deal only one time. Lightning Deals bring real opportunities to both buyer and seller. The former can take advantage of premium discounts on their purchase. The latter gains visibility and can raise brand awareness with minimum investment. This is possible because even if the seller loses revenue through discounts, they will be marketed through Amazon’s newsletters, social networks, and mobile app to millions of possible buyers. As you could expect, all products featured in Amazon Lightning Deals get a true bump in sales. For sellers, this means they can promote and eventually sell one of their products that doesn’t enjoy huge popularity just yet, as long as it complies with Amazon’s conditions. Lightning Deals can be accessed by all buyers, except on the Prime Day, when they are exclusive to Prime members. How to Join Amazon Lighting Deals Waitlist As a Buyer? Trying to score a Lightning Deal as a buyer could be harder than imagined. Since these offers provide heavy discounts on typically expensive items, shoppers hurry to add them to their carts. However, adding an item to the cart doesn’t guarantee a purchase. That’s why Amazon created the Amazon Lightning Waitlist. If you’re interested in a deal, but all promotional discounts are held by other buyers, you can simply click the Join Waitlist button on the Lightning Deal. By joining the waitlist, you will have the possibility to redeem a deal as soon as it becomes available again. In fact, because this is a time-sensitive deal, Amazon only holds the purchases in carts for 15 minutes. When the time’s up, the offer is made available to the other customers on the waitlist. Here is a step-by-step guide to joining and using the Waitlist. Click on the Join Waitlist button on a Lightning Deal. This will place yourself in a queue of shoppers who already selected this option. Wait for Amazon’s alert indicating that the deal is available. The alert appears in the upper right-hand corner of the Amazon page, or you can receive a push notification on your phone if you’re using the latest Amazon App. The alert indicates that the deal is available and the time you have to add it to your cart. Be fast and add the deal to your cart within the indicated timeframe. Complete the purchase within 15 minutes or your deal will be removed from your cart and you’ll be removed from the waitlist. Remember that Lightning Deals are capped to one per customer; in other words, if you missed your chance, you won’t be able to access the same deal again. Redeem your discount on checkout. Now, don’t lose hope if you see an interesting deal but all offers are held by other buyers, and there is no Join Waitlist button. It could simply mean the waitlist is complete at the moment. Amazon re-activates the button whenever a place on the waitlist becomes available again, so sometimes it’s worth waiting. You must also know that joining a waitlist doesn’t guarantee you’ll score the deal. If all the other customers complete the purchase or if the time comes up, the waitlist will simply expire. How Do I Find Amazon Lightning Deals As a Buyer? While scoring a Lightning Deal may require you Roadrunner’s super-speed, finding the deals is a no-brainer. Developing their website with the customer in mind, Amazon created Today’s Deal page. You can find it on the upper menu, and once you click on it, a menu on the left-hand side of the screen will give you the possibility to access the Lightning Deals under the Deal Type tab. Under each deal, there is displayed a timer showing you how much time you still have to claim the deal and a colored bar which shows how many deals have already been claimed. If you’ve decided to buy the item, just add it to your cart and complete the purchase. However, remember you can place an order for a specific Lightning Deal for only one time; if you remove the deal from your cart and then change your mind, you’ll have to pay the undiscounted Amazon.com selling price for that item. When all offers in a Lightning Deal have been purchased, the deal is marked as Sold Out. You will still be able to click on the product and add it to your cart, but you’ll have to pay its full listing price. Join Amazon Prime: While Lightning Deals are available to all customers, Prime members can get their hands on the items they want half an hour earlier than all others. Furthermore, on Prime Day, all deals on Amazon can be accessed exclusively by Prime members. Shop earlier: If you want a product, but it’s not on offer, check the list of upcoming Lightning Deals. If the item is in the list, add it to your cart right away but delay the purchase until the Lightning Deal starts. The price should adjust to the Lightning Deal price directly into your cart, and in this way, you can be sure to score the deal. Join the Waitlist: Remember, if there is a waitlist, there are chances people will change their mind. You should wait patiently until the offer comes up and add it to your cart immediately. Act fast, and there is a good chance you’ll redeem your discount. What Are the Seller Requirements to Join Lightning Deals? 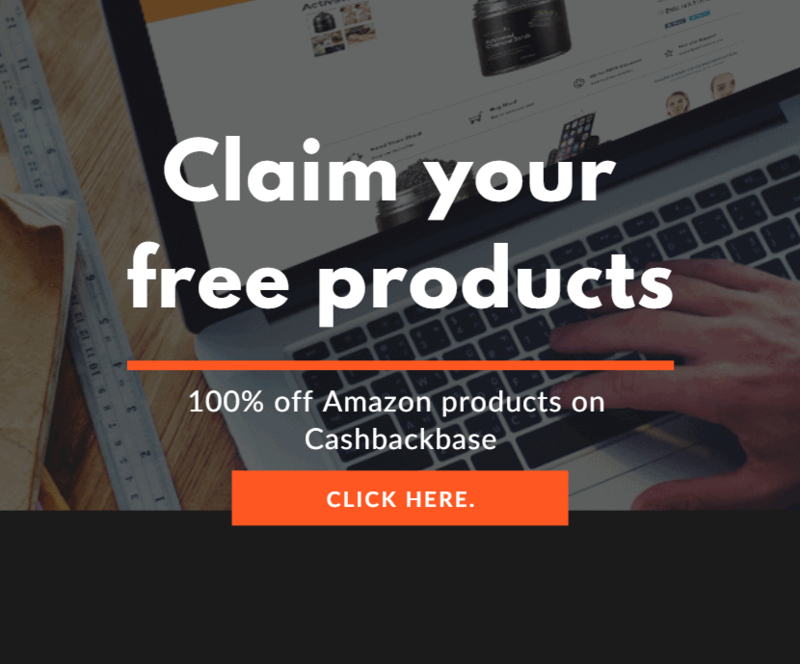 As a seller, you can create Lightning Deals and benefit from all the exposure Amazon creates for you. However, not everyone is eligible, and the products must meet certain criteria too. Regarding the eligibility criteria, you must be a professional seller who receives at least 5 feedback ratings per months. You must also have an overall rating of at least 3.5 stars, while the product must have a rating of at least 3 stars on Amazon. Products must also include as many variations as possible, such as different colors and sizes; at the same time, they must not be offensive, embarrassing, or inappropriate. Items considered ineligible include e-cigarettes, baby formula, alcohol, adult products, and medical devices. Besides all the above, your products must be Prime eligible in all regions and comply with the customer product reviews, pricing, and deal frequency policies. You must keep in mind that all these standard guidelines are subject to change and can be altered during peak selling periods such as Black Friday, Cyber Monday, and before Christmas. How to Run a Lightning Deal on Amazon? If both you and your product meet the Lightning Deal eligibility criteria, you can set up a deal from your Seller Central control panel. Go to the Lightning Deals Dashboard and select the Create tab. Pick an item from your inventory and click Edit. Fill in the information required comprising the schedule of the deal, maximum price, and minimum deal quantity. When you’re ready, click Submit. While setting up a Lightning Deal is easy, there are a few things you should know if you want to be successful. First, know that Amazon applies a fee for participating in the Lightning Deal program. The fee varies and is established based on the expected traffic. Prime Day, Black Friday, and Cyber Monday are associated with the highest fees, but that’s also when most people are buying. Second, you must also agree to apply a discount of at least 20%. While this is not a rule, offering a high discount increases the chances of your product being accepted. Lastly, make sure you have sufficient products in stock or your Lightning Deal may be suppressed. Amazon recommends having all products in stock at least 7 days before the date your deal is scheduled on. Once you’ve submitted your deal, you can monitor its status on the Lightning Deal Dashboard to see whether it needs editing or if it was approved. Amazon Lightning Deals bring a wealth of benefits to both buyers and sellers. We hope you now know what it takes to redeem your discount or gain brand awareness through this option, so you can make the most out of it!